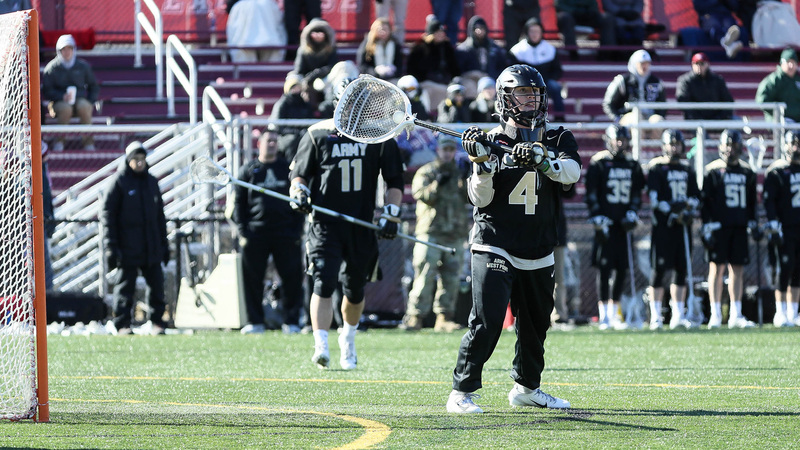 Boston, MA - (March 1, 2019) - Major League Lacrosse (MLL) takes a look into draft prospect and Army goalie, AJ Barretto. Barretto may be one of 63 players selected in the draft. Last season with Army, Barretto started in net in all 13 games. His performance ranked seventh nationally and first in the Patriot League with an 8.16 goals against average. Baretto totaled 101 saves on the year for a .505 save percentage and for in conference-only contests Barretto boasted a 7.93 goals against average and .530 save percentage to rank second in both categories. Baretto also pulled out a game-winning assist, the first assist of his career, for the game-winning goal against the Holy Cross Crusaders. At the beginning of the 2019 season Baretto has started in net for all 4 of West Point's games and has played all 240 minutes. He has a .630 save percentage and a goals against average of 8.48. His outstanding play and leadership has Army off to a 3-1 start this season. Before entering West Point, Barretto earned First Team All-Met and Cyrus Horine Goalie of the Year and the all-time saves leader for St. Paul’s School. The United States Military Academy, also known as West Point, Army, Army West Point, The Academy, or simply The Point, is a four-year federal service academy in West Point, New York. The first Army lacrosse game was played in 1907. West Point has competed in the NCAA tournament 16 times, with 2 Final-Four appearances. Their current coach is Joe Alberic. John Glesener, a 2015 West Point graduate, is on the 2019 preseason active roster with the Chesapeake Bayhawks. Will AJ Barretto follow Glesener into the ranks of Major League Lacrosse? Tune into Lax Sports Network on March 9 at 7pm to see if AJ Barretto will be one of the 63 players to be drafted in the 2019 MLL Draft presented by Cascade.